A leather couch requires careful handling when you’re packing to move. It’s easy to damage leather furniture if you’re careless. 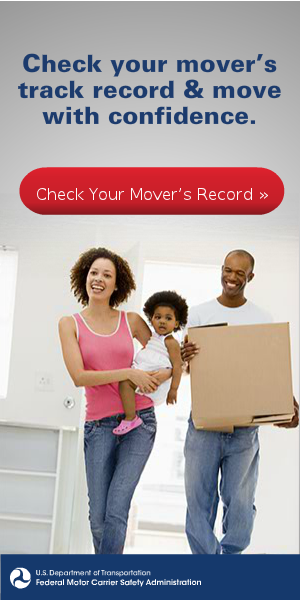 And moving something as large as a couch presents many opportunities to cause costly damage. Using the correct methods and supplies for packing and moving a leather couch is the best way to avoid damage. There are specific steps to take when packing a leather couch. Tossing it carelessly into the back of a moving truck is a terrible idea. Instead, a better option for safely packing a couch is to apply protective covering. Wrap the couch in moving blankets or moving pads. These cushioned blankets and pads are designed explicitly for protecting furniture. Covering your couch this way protects the leather from dirt, rips, and scratches. You’ll need to use tape to secure the protective covering in place. Make sure to keep the tape away from the leather. The tape belongs on the protective covering and not on the leather couch. Costly damage can occur if the tape comes in direct contact with the leather. Considering the risk, the thought of putting tape anywhere near your leather might give you chills. If so, then another option is to use shrink wrap. The shrink wrap can secure the protective covering in place the same as tape. As long as the couch is already covered, the shrink wrap won’t cause any damage. Keeping the shrink wrap off of the leather is important. Direct exposure could mean disaster for your leather. Plastic wrap can trap condensation, and cause mildew to form on your couch. Also, if the couch will be in a hot climate, the plastic could stick to the leather. Choose the best route for moving the couch. Make sure you can easily move the couch through hallways and doorways. If there’s a stairway, then make sure it’s wide enough for the couch. Check your pathway for sharp edges that could rip the protective covering. If the covering becomes ripped, then that means the leather can rip as well. If you plan to store the couch temporarily, then this moving company in Atlanta, GA recommends finding a climate-controlled storage unit. Heat and dryness can cause leather to peel and crack. And dampness and humidity can cause mold and bugs. A climate-controlled storage unit will provide the best conditions under which to store your leather couch. The information provided here will help keep your leather couch safe during your move. In addition to careful packing, it’s also important to move the couch with care. Getting help moving the couch will not only make it easier, but it’s safer as well.